The ultimate skel-ebration of monster mania, the Freak du Chic™ dance will be the monster bash to end all bashes. The ghouls will be dressed in over-the-top circus-inspired fashions. 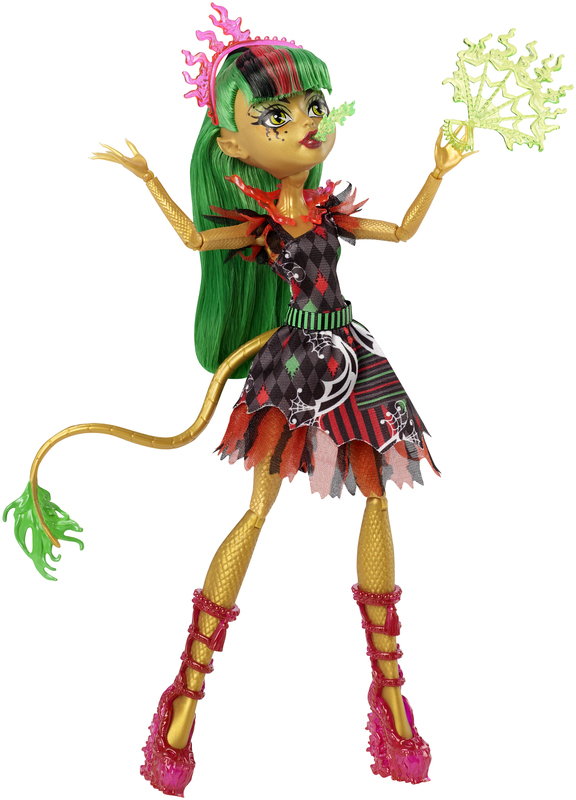 Jinafire Long™, daughter of the Chinese Dragon, takes advantage of her scaritage as a fire breather -- her flame-inspired fan actually fits in her hand and the "blowing flame" fits into her mouth to really set imagination on fire! Plus, her dress is hot with a dragon-inspired print, sheer scale-inspired hem and scary cool collar treatment. Tall red boots (with fiery effect), a green belt and flaming headband burn with style. Kids will love recreating favorite scenes or creating a new show of their own. Jinafire Long™ doll also comes with a doll stand and a mini Freak du Chic™ poster. Collect her fellow Freak du Chic™ ghouls (each sold separately) for a full circus! The ultimate skel-ebration of freaky flaws, the Freak du Chic™ dance will be the monster bash to end all bashes. 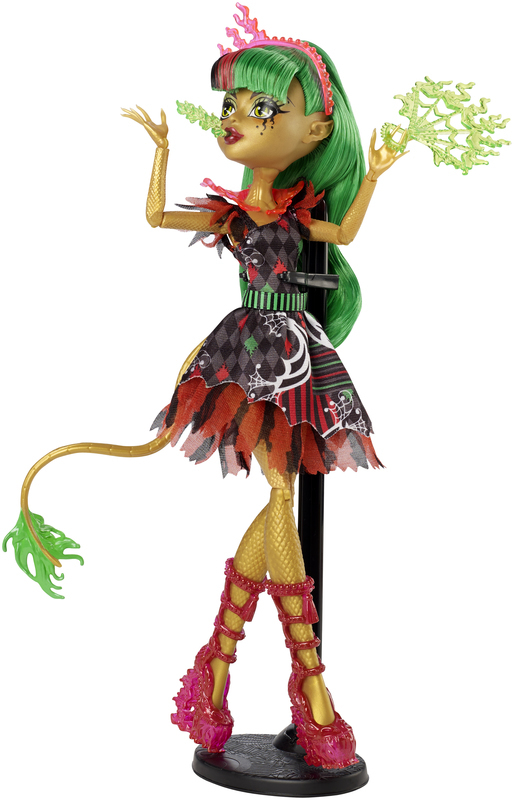 The ghouls are ready to grab the spotlight as circus performers with uhhh-mazing accessories to help entertain. 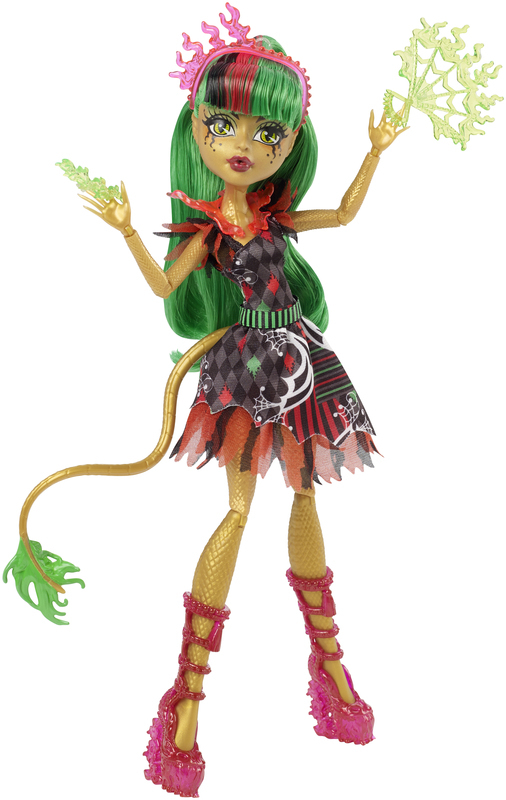 Jinafire Long™ doll takes advantage of her scaritage as a fire breather with green flame-inspired fan that fits in her hands -- and a “blowing flame” that fits in her mouth -- to set imaginations on fire! Her outfit is over-the-top with a dragon-inspired print, sheer scale-inspired hem and scary cool collar treatment. To-die-for red boots and hot accessories (like a scaly green belt and flaming headband) complete the killer look. Jinafire Long™ doll also comes with a doll stand and mini Freak du Chic™ poster.